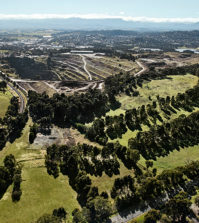 KATIE HOGAN, Project Engineer for Gordyn & Palmer Pty Ltd reports on the development of the state of the art plant at Mountain View Quarries – Point Wilson. 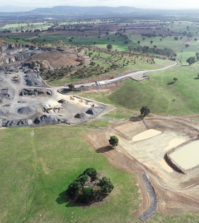 Barro Group operated their first quarry, Mountain View Quarries, in the You Yang’s in 1962 followed by the purchase of the Montrose Quarry in 1965. 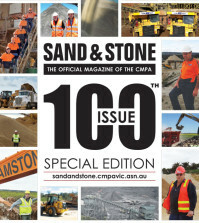 Following their success in the concrete, sand and stone industries they went on to operate Mountain View Quarries, Point Wilson in the late 1960s and began producing approximately 250 TPH of crushed rock, mostly from pieces of mobile equipment. In 1980 the first fixed plant was built on the site and throughput increased to 350 TPH. This plant featured relay logic controlled by a mimic panel. 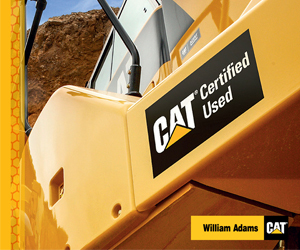 After over 40 years of reliable production, the existing plant was outdated and coming towards the end of its life cycle. The decision was made to build a new, state of the art plant, closer to the rock resource. With a blank palette and years of experience to draw on, Barro Group focused heavily on the scope and design of the plant. The emphasis was on increasing tonnage output through automation and ease of maintenance while ensuring high levels of safety across the plant. Key design criteria included zoned lockout isolation and a sophisticated control system with detailed reporting capabilities. 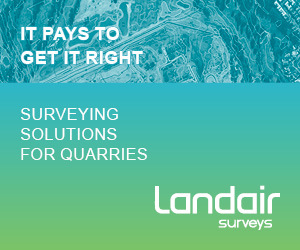 Having previously worked together on their Wyndhamvale site, Mountain View Quarries engaged Gordyn & Palmer to design and construct a turnkey electrical package which would meet all their expectations. This package included complete electrical engineering, design, installation and commissioning, high voltage design and installation and a control system. I would strongly recommend Gordyn & Palmer and commend them on a well-planned and managed electrical project from design, supply, installation and safety management. Their experience with the requirements of a modern large scale quarry crushing plant has enabled them to deliver a plant that we are very proud of. We have no doubt that as the end user, we will continue to appreciate the systems that have been put in place to assist with achieving maximum plant throughput with minimal downtime. 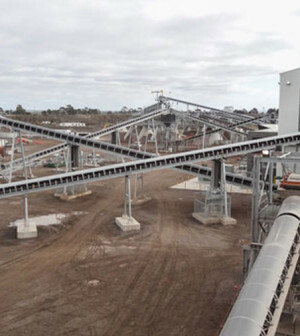 Gordyn & Palmer, who are an Australian owned private company, have been offering complete electrical and automation solutions to the batching, quarrying, concrete and asphalt industries for 40 years. This experience has led them to produce industry hardened switchboards, field installations and control systems which are built to not only withstand, but thrive, in the harsh environment in which they operate. 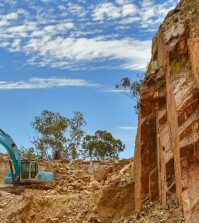 Always striving to be at the forefront of new technologies, Mountain View Quarries and Gordyn & Palmer decided to implement the new E300 electronic overload relay from Rockwell Automation, on all DOL motors across the site. This decision was supported by NHP Electrical Engineering Products, distributor for Rockwell Automation, who worked closely with Gordyn & Palmer to help them overcome the usual challenges associated with being the first site in Australia to implement this new technology. 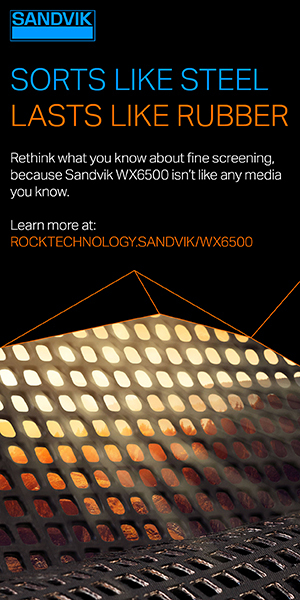 The E300 electronic overload feature a modular design, communication options, diagnostic information, simplified wiring and integration into Logix (the Rockwell programming package). 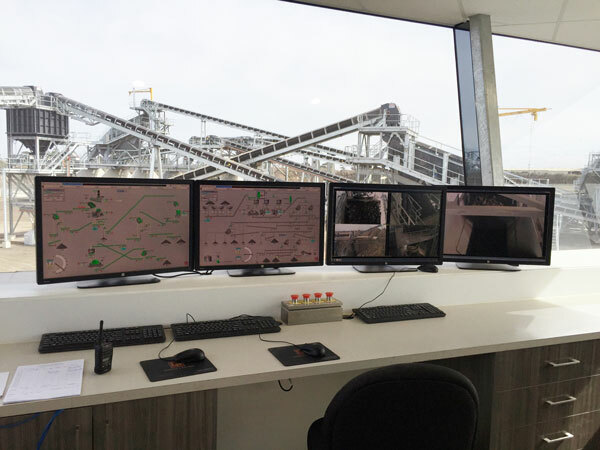 This meant that for the first time, all motors across the site were connected to the plant network and could be accessed and configured remotely, bringing a new level of plant diagnostics. The E300s also introduced current monitoring on every motor where previously only larger motors or those controlled by drives were monitored. To add redundancy and robustness to the E300s, they were strategically grouped in ring networks relating their position in the plant flow to ensure that a communication fault to one module would not result in an entire plant shutdown. In addition to the intelligent motor control, Mountain View Quarries, Point Wilson also boasts a fully integrated Crusher Management System designed by Gordyn & Palmer. This Crusher Management System replaced the original Terex ® Jaques system which was in use in the existing plant. In designing this system, Gordyn & Palmer created a unique algorithm to estimate the wear ratio on the crusher mantle and automatically adjust the close side setting to compensate for this wear over time, resulting in superior accuracy while crushing. 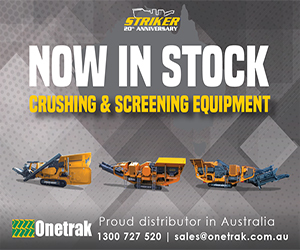 A customised SCADA screen gives the operator full control and diagnostics on each part of all 3 crushers. At a glance, the operator can see key parameters such as close side setting, mantle position, pressure and power consumption. 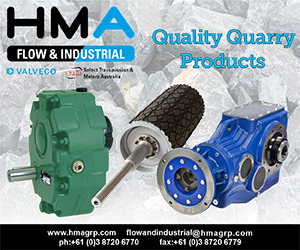 All auxiliary motors, alarms and trends are also displayed on the same page to allow the operator to make informed decisions and react quickly should any problems occur. Calibration can be done via the same screen. Recognising the success and innovation of the project, Gordyn & Palmer were awarded the prestigious Excellence Award from the National Electrical and Communications Association (NECA) in 2015. 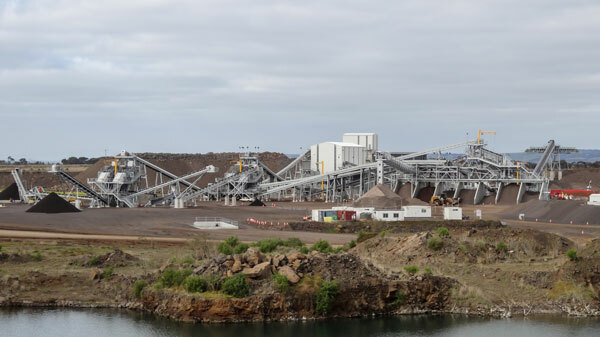 Mountain View Quarries, Point Wilson, have been successfully producing up to 550 TPH of blended aggregate since the completion of the project in 2015 and commissioning in 2016. Over the last few years, they have been able to analyse plant data such as motor current, tonnage and downtime to identify parts of plant which are underperforming and implement measures to improve these and increase production. Since joining CMPA in 2001, we have been able to build strong relationships with many members. This experience, combined with working with members across different plants and resources, has allowed us to learn from each other and implement trials and innovations in the automation field, ultimately leading to far greater uptimes in plants today. Barro Group has been a proud Member of the CMPA since its inception and thanks the CMPA for the benefits our membership provides, particularly the practical solutions and effective voice for our industry.